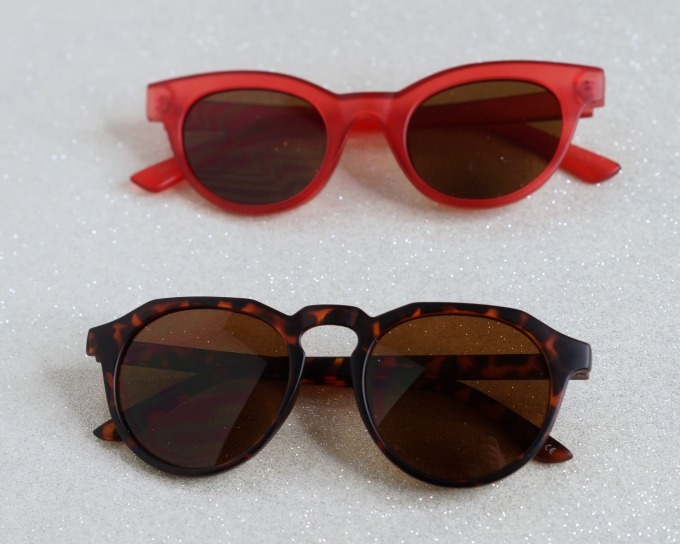 Thanks to Sunglass Warehouse for sponsoring this Hot Sunglasses Trends post. The weather is getting warmer, and you’re going to need new shades. But what to get? We’re here to help with these statement sunglasses trends for 2019. Accessories are a great way to change up your look. One of my favorite accessories are sunglasses. They’re so changeable depending on what you’re doing or where you’re going. Plus, you actually need them to help protect your eyes. 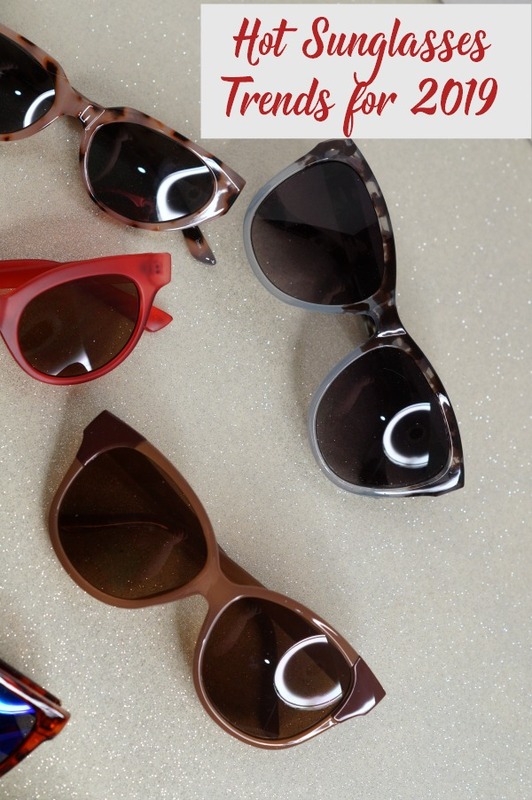 We’ve rounded up some of our favorite sunglass styles for 2019 from Sunglass Warehouse. They’re totally on trend, oh so comfortable, and nice quality. Even better, they’re totally affordable. If you lose your sunglasses at the beach or at Coachella, you’re not gonna get too mad. Cat’s Eye harkens back to another time, and they’re having a comeback. The modern cat’s eye has a little bit of an 80’s twist to the shape, being a little more angular and less round and curved. 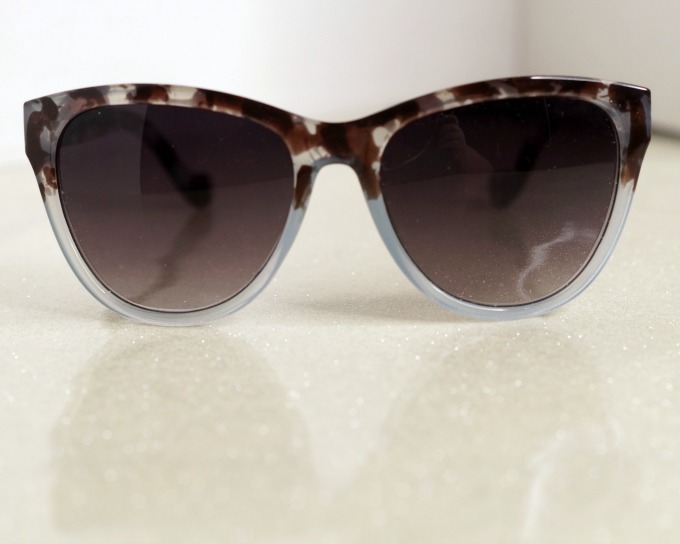 The Honolulu Cat’s Eye sunglasses style is a perfect example of the modern cat’s eye trend that’s really wearable for most everyone. The Tatum is also a great example, that’s a little more festival-y. These are timeless, and I don’t think they’ll ever go out of style. Think Jackie O’s iconic look. 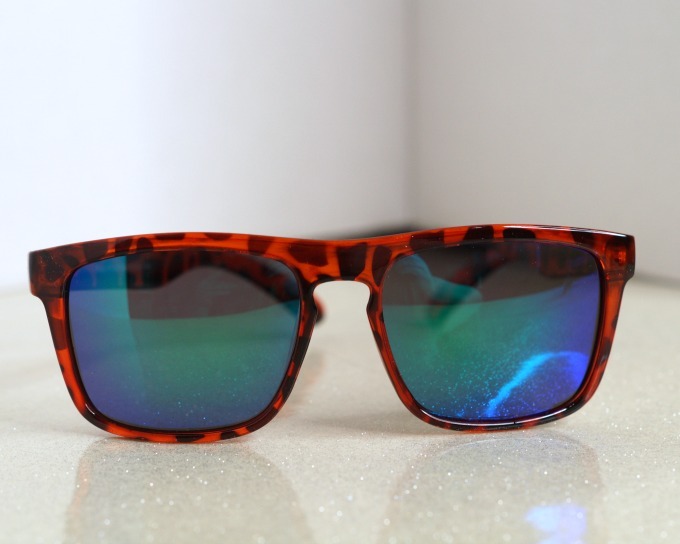 The modern twists include frames that are colored tortoiseshell, like a blue and brown print, or gradated frames. You can also find these in bold, fun colors. The Greeley, shown above, has great gradated frames, and the Geneva style comes in such fun color combos. Both are perfect examples of oversized sunglasses trends. One of the biggest trends in sunglasses has been the Wayfarer style with a squared off lens area. You see this mainly in mens eyewear, but some women are wearing this look too. These have a great sporty look and feel. A lot of time, the squared off style, like the Duke, also has mirrored polarized lenses. I am digging the Argun style that looks like woodgrain, too. Mirrored lenses are still a huge trend. They’re available in all kinds of colors, too. You see this trend a lot with square and metal frames. Especially sporty styles, aviators, and festival styles. Matte frames are HOT. 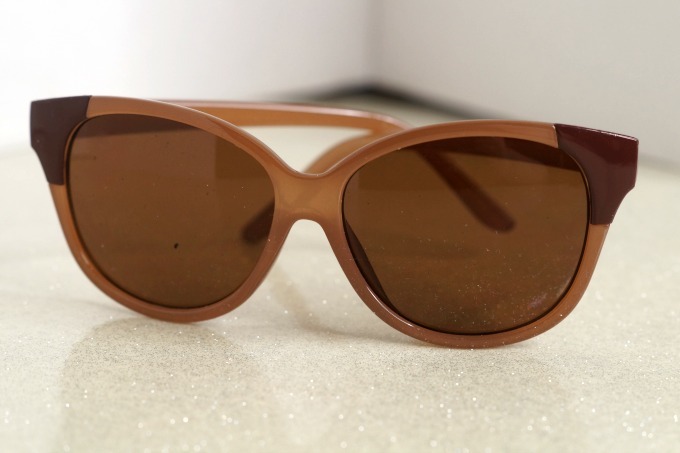 It’s a great twist on sunnies that seem otherwise basic. It also makes an inexpensive pair of sunglasses look a lot more expensive. These are the Banff, which look like they should be about $50 more than they are. From Aviators to Brow Bars to John Lennon/Harry Potter glasses, metal frames are a popular sunglass trend. They are even coming in lots of unusual shapes, like the Boyd style, which is a square hexagon-ish shape. 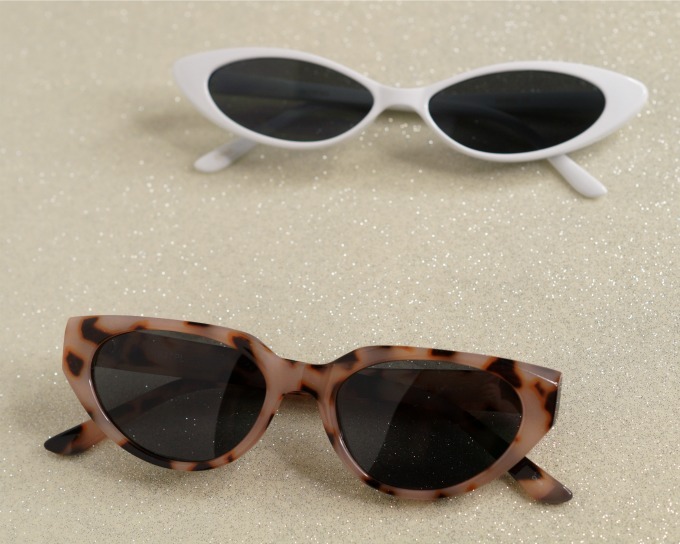 One of the 2019 sunglasses trends we’re seeing a lot is mixed finishes. Matte and glossy, metal accents on plastic sunglass frames. Acetate fronts and metal arms. Done well, it’s a great look that’s thoroughly modern. Hartley is a perfect example of this, with the acetate frames and metal accents on the edges of the frame. These are definitely statement sunglasses. 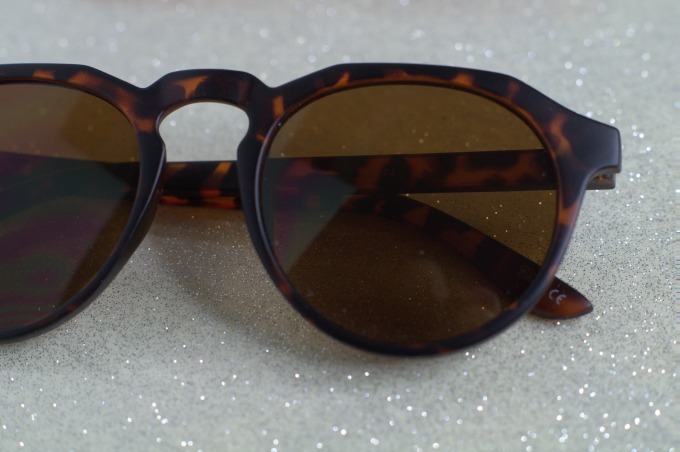 Another hot sunglasses trend for 2019 is the unusual shaped frames. We’re seeing a lot of frames that have almost octagonal lenses, or some extra flair that almost look like cat ears. 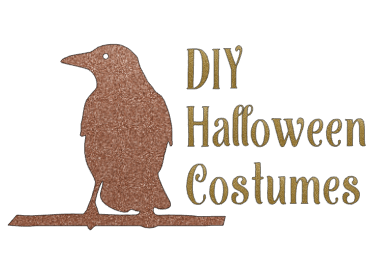 The Banff style, shown above, with it’s keyhole nose bridge and little cutouts by the arms are a subtle version of this look. 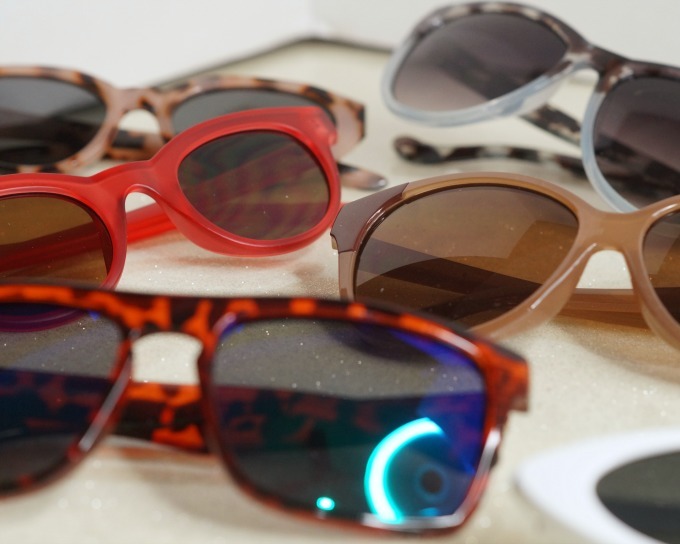 At Sunglass Warehouse, you can pick up all these hot sunglasses trends for 2019 and still have cash left over. Tell me, which of these styles is your favorite?